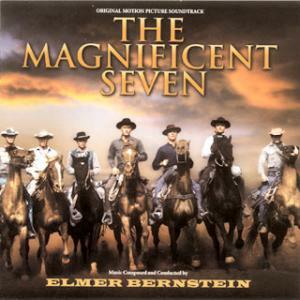 The Magnificent Front Seven? Or Something Else Entirely? First of all, it better be said now, and let’s just get this out of the way – the defense was abysmal last year. I mean how else do you explain the 43.9 points per game allowed, 118th in the country? The 247.6 rushing yards per game allowed, 119th in the country? Hey, passing defense wasn’t too bad, at 195.8 yards per game allowed, or 44th in the country. But let’s be honest, I mean the team was buried so deep and so early that many games saw teams doing nothing but student-body-right/student-body-left for half of their possessions. USC even took a knee at the 15-yard line of WSU before the half…..things were THAT bad. I don’t think any Coug fan who watched them all season would argue against that statement, and many inside the WSU program would probably agree. Of course there were many circumstances as to why they were so bad, such as a madly ineffective offense, injuries, suspensions, blah blah BLEH! The list is too long to accurately point out every single thing that was wrong, so, you get the gist. In a nutshell, what could go wrong, did go wrong in ’08. So let’s get to it. We’ll start from the inside out, meaning defensive tackles, defensive ends, and then the linebackers. Some starting combo of Bernard Wolfgramm, Toby Turpin and Josh Luapo. If Wolfgramm is healthy, he will start alongside Turpin to form a thick, talented interior. Wolfgramm is pushing 290 lbs on his 6-3 frame, while Turpin checks in at 6-4, 285. 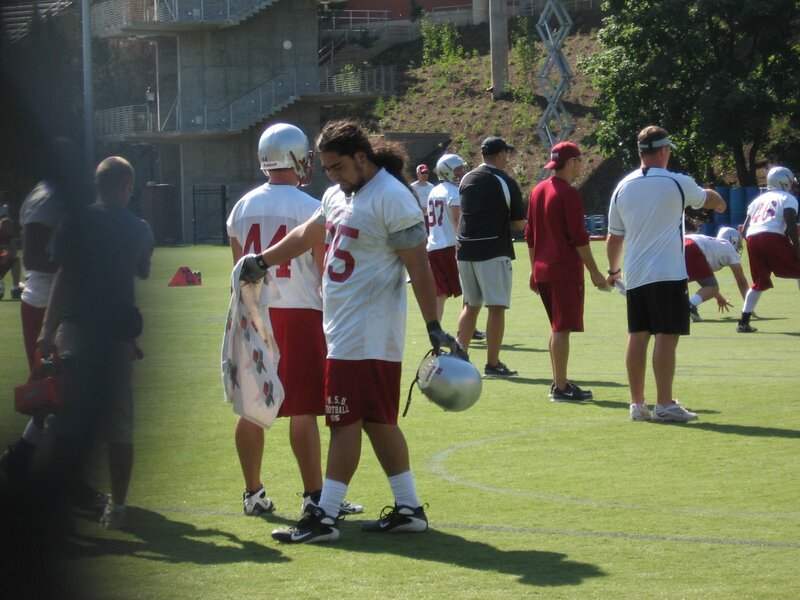 The buzz from last year was that Wolfgramm was the best defensive lineman on the team, and Turpin wasn’t far behind. But even as injuries and other off-the-field issues hurt last year’s defensive line, Wulff resisted the urge to burn Wolfgramm’s redshirt. And now that move, hopefully, will pay off! Other unknown or relatively unproven backups are (potentially) Dan Spitz, Justin Clayton and Anthony Laurenzi. D-Tackle analysis: Starting to see a little depth develop here. Contrast these guys with what you saw for most of ’08, and it’s a whole different world inside. Wolfgramm redshirted, and Luapo didn’t even enroll until January of ’09, following the gray shirt route. And Turpin came on strong at the end of the year, but he didn’t really play until the last month of the season. All that said, ’09 could still see this group as not-yet-ready for prime time. While Wolfgramm redshirted last year, and it’s great that he did so well and all that. But we’re talking about practice. PRACTICE! Seriously though, he still hasn’t had a snap of PAC-10 football. And he had a balky shoulder that kept him out for some action this spring, so who knows what kind of shape he’ll be in by the opener. I know I’ll be keeping my eyes peeled for how he does in August camp. While Luapo is big and all that, a fire-hydrant type at 6-0, 325 lb, like Wolfgramm, he hasn’t seen any PAC-10 action either. Defensive Ends: Kevin Kooyman and Jesse Feagin are projected starters. Defensive end analysis: Hmmm. Well, we like Kooyman. He has had some injury issues over the years, and started seven games last year. Kooyman is good-sized at 6-6, around 250, but isn’t exactly hell on wheels in terms of getting up field and rushing the passer. He is more of your all-around type of defensive end who isn’t a huge playmaker, with 31 tackles and one sack last year. It’s hard to believe he’s already a senior isn’t it? His career has absolutely flown by. He was regarded as one of the top recruits in the state when he came on board under Doba and company, regarded as a good guy, and last year, there was considerable buzz that he was set for a big ’08 season. It just never happened. He is the undisputed leader up front this season, and here’s hoping he goes out with a bang in ’09. Feagin is another interesting case. Reportedly adding 16 lbs of muscle in the off-season, now near 270 lbs, he could make an impact right away. There is always some speculation that with the added weight, he could slide inside on passing/nickel situations, as a smaller pass-rushing defensive tackle. But it’s likely he’ll be at the top of the depth chart, opposite Kooyman as a starting defensive end. Feagin, like Kooyman, is also a senior. He played sparingly as a JC transfer in ’07, just three tackles in nine total games, and then missed last year due to academics. We’ve heard good things about Feagin over the last two+ years, so now we will find out what he’s really got in the tank. As for backups, I would speculate heading into camp that Casey Hamlett, the transfer from Western, and Adam Coerper, the redshirt frosh who was the scout team defensive player of the year last year, will be the first d-ends off the bench. Hamlett was profiled in the spring as to opening some eyes with his high-energy approach. The opportunity is right there in front of him, and to go from playing at Western WA to being a regular in the defensive end rotation on a BCS school in one year has to get his heart racing! Coerper, meanwhile, is another kid on the rise, a youngster who has drawn praise since he arrived in Pullman. One of those nice, athletic frames at 6-4, 250, in the versatile mold who could play tight end or defensive end, the redshirt frosh has a real shot at regular playing time. For a real young sleeper/long shot for ’09, Travis Long must get mentioned here. Long was one of the top recruits signed in February, and while he hasn’t yet put on the pads, there are some that believe he could see action as a true frosh. Long is, yet again, another one of those tall (6-4), athletic build-type kids at 245 pounds who can play tight-end or defensive end. He projects more at defensive end at this level, so, it’s at least possible he’ll open enough eyes in August to potentially get on the field in September. Sadly, this is where we must mention Cory Mackay. Mackay had a big spring on the field, and was looking like he was headed for a lot of PT this fall. Then the terrible car accident a few months ago, and his life has changed for the foreseeable future. I would encourage you all to go check out the Cory Mackay fund group at Facebook, which has now grown to over 1500 members. They have done some good fund-raisers, such as car washes and even a hair-cutting service for donations, and the news has been positive there. Still, he has a long road ahead, so all our thoughts and prayers go out to Cory Mackay and family. OK, that’s it for the d-line. Now, the linebackers. Starters: You can book Andy Mattingly at strongside linebacker and Louis Bland at the weakside position, provided they are healthy? Alex Hoffman-Ellis and Mike Ledgerwood will battle for the inside. As for backups, we would do a lot worse than Myron Beck. Nine starts last year at strongside backer, now pushed to backup status with the Mattingly move back from defensive end. Hallston Higgins is in there as well, likely backing up Bland at the weakside. Mattingly on one side and Bland on the other could be one of the best OLB tandems in recent times for the Cougs. They are both recognized as two of the best players on the defense, and it will be interesting to say the least at the idea of seeing them both starting from day one. However, injuries area already an issue here, as Cougfan broke a story the other day that said Bland is still nursing a bum knee, to the point that it could cause him to miss the season opener (damn). And Mattingly missed time this spring, and now has a lot to prove as he moves back to linebacker after a failed move to defensive end last year. This is it for Mattingly, a player two years ago some pegged as a can’t miss star at linebacker. I include myself in that group who thought he was going to be the “real thing”, but last year was a loss on many levels. 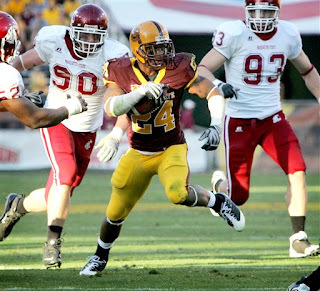 They finally moved him back to linebacker at the tail end of the season, and the defense overall did perform better vs. ASU, UW and Hawaii to close out ’08. Most of all, Mattingly simply looked more comfortable, almost like going home again, and should have a nice finishing kick to his up-and-down career at the strong-side position. Bland, if he can keep that knee right, looks like an absolute player on the rise. Sized like a strong safety at 5-10, 205, Bland has the heart of a lion and hits like a truck. 55 tackles, nine for loss as a true frosh last year in nine starts had him on some frosh All-American teams. The kid is a real bulldog and should be a strong leader for years to come. The youthful match-up at middle linebacker is going to be something to watch. Mike Ledgerwood played in 10 games last year, and logged 14 tackles with 2.5 for loss in limited time behind Greg Trent. We like the looks of Ledgerwood, a solid 6-0, 225, and appears to be another young player on the rise. But Hoffman-Ellis is going to give him everything he can handle inside. The JC transfer who arrived last year, he and Ledgerwood are going to be in for a real fight for the honor in replacing Greg Trent in the middle. As for some younger breakthroughs, it’s hard to say. Maybe a super-strong Darren Markle will emerge in the middle? Markle is a high school weight-lifting legend, with a 605-lb squat video making the Youtube rounds. 605 lbs!?!? That’s ridiculous strength. I would imagine trying to move him out of the middle is akin to trying to take down the Martin Stadium goal posts, complete with cement reinforcements. Good luck. It is a younger group of linebackers, no question, and losing Greg Trent, Cory Evans and Kendrick Dunn thins out the depth. But if they can stay relatively healthy, they will be fine. And of course, the better the play is in front of them along the line, the better this group will do overall. As an overall, I would say this group of front seven is in much better shape than last year. In ’08, they were too young, too light, and too few in numbers to compete against BCS talent. While six of the top eight projected in the two-deeps at defensive line are new faces for ’09, normally that isn’t a recipe for success. But I think this is a unique situation. Last year they had lost Andy Roof before the season started, so backups like Matt Eichelberger were thrust to the forefront. The personnel just wasn’t up to the challenge. Now, there is talent that is new, sure, but still it’s talent that has been on campus and in the system for a full season up until now. Bernard Wolfgramm, Jesse Feagin, both guys who should start, both guys who red-shirted last year, both older guys who have had that initial year to get used to everything. So while they are new, they aren’t exactly nervous true frosh who are overmatched from the beginning. The best news around is that Wulff continues to recruit the big, lean frames out of high school and then have them grow and mature in the strength program, some of whom will ultimately end up on defense. It’s the old Mike Price philosophy – recruit speed and athleticism on defense, and let them develop and grow up in the program. And build it for speed, from the “outside-in”. So safeties become outside linebackers, outside linebackers become middle linebackers, middle linebackers become defensive ends, and defensive ends move inside to defensive tackle. All in a natural progression as their bodies add strength and “the right kind of weight”. The downside to this approach, well, it’s a strategy for the long haul, not the quick fix. No 6-4, 325-lb SEC-style behemoths are walking through the Bohler Gym doors, ready to start from the day they arrive. Obviously Josh Luapo is the exception to this rule. But fear not. This developmental approach will start to bear fruit, and I bet we start seeing some of the changes this year, but really witness the evolution in 2010. Just not yet. At linebacker, the loss of Trent and all those tackles will hurt. But moving Andy Mattingly back there gives the defense an entirely different personality. He is their big, experienced playmaker who gave the defense some extra energy when he first started getting regular PT over the last half of 2007. And it will be great to see Louis Bland take the field after his initial learning season is now out of the way. Instead of trying to survive, now we can see him attack and lead a little bit more? Most of all, both units are going to need the other to up their game in ’09. The defensive line is going to have to do a better job of putting pressure on the opponent’s passing game by applying a consistent rush, and of course, plug up holes and occupy some space up front. But that’s just half the battle. The linebackers are going to have to play fast and physical, and take advantage of what the defensive line can give them, which is an opportunity to make plays. So, will it work? Is the front seven in better shape in ’09 vs. last year? Can they not just survive, but thrive? What do YOU think? That’s it for now. Enjoy your morning, and as always, GO COUGS! 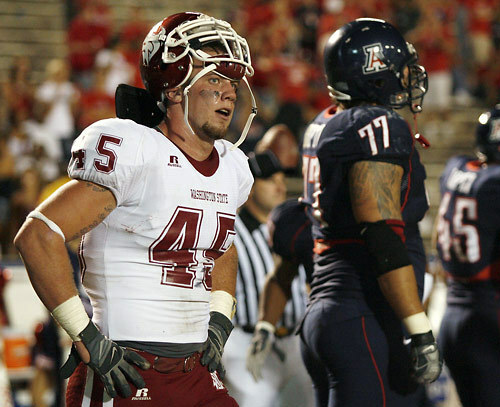 Is the 3-4 the WSU Defense of 2009? And at least they aren’t burning redshirts on the likes of Bernard Wolfgramm to shore up the weakness. This is such a lost year, that to do something like that would be foolish….almost Willingham-like in it’s ineptness…. But I think it begs a bigger question. Is the three-four for WSU here to stay? Given the way college football offenses have evolved, and the overall lack of depth that this program has had for a long time now on the defensive line, wouldn’t it be a good idea to just go to a 3-4, or, even, a 3-3-5!?! For some background, yes, we have tinkered with the 3-4 from time to time. Remember down the stretch of the 2006 season? With injuries destroying that team, and even Mkristo Bruce heroically playing on one good leg, losing Ropati Pitoitua, Aaron Johnson and A’i Ahmu just crippled the depth inside. They had no choice but to scrap the 4-3, and go with the 3-4 during the year-end fade. It didn’t really work, and the reasons were many. It was a brand new scheme of course, as the defensive linemen had different gaps and responsibilities that go with a three-man front. But even the linebackers had to adjust to having an extra linebacker out there, and it was too late to plug the hole in the dam. But the other reason was, mainly, they just didn’t have the proper personnel to run it effectively. To be successful in the 3-4, you have to have a legit nose tackle who can take up space and occupy blockers, and he has to be big. Why? Because on about 95% of all defensive plays in that 3-4 scheme, the nose tackle will be expected to take on the center AND a guard, all at the same time. But it’s not just the nose tackle who needs size and strength. The defensive ends need to be a little different style as well. They have to be much larger than your Isaac Brown/DD Acholonu mold, you know, the converted 225-lb linebackers who rush wide and up the field? You need defensive ends with some girth, at least in the 255-260 range in college, to hold up and handle their gaps. All three of the defensive linemen have what is called two-gap responsibility. They are expected to hit the offensive linemen head on, and watch the play to make sure the running back doesn’t come through on either side of them. It’s almost a read-n-react defense as opposed to a one-gap scheme you often see in a 4-3, where the defensive linemen simply chooses a gap and shoots it at the snap. But a 3-4 defensive lineman is also expected to hold their block so that the offensive linemen can’t get free and to seek out a linebacker. Simply put, the linemen play a more physical game as they are taking on one or two offensive linemen directly, play after play. And the glamour? Forget it. The 3-4 linemen aren’t your stat hounds in any way, shape or form (how many great defensive ends in the 3-4 make headlines?). The big plus to a 3-4 are the linebackers. Basically two inside linebackers who you want in the 240-range and also with some athleticism. But the outside linebackers can be in that Louis Bland/Myron Beck mold, at least in the NCAA, and you can get away with having 210-215 lb speedsters on the outside. They can blitz from different angles, of course, but they are also on the outside as much as possible, able to use their speed out in space. And against the spread-style offenses of today, that asset of speed on the edges is CRUCIAL if you want to survive something like Oregon throws at you. You have speed like that outside, and it makes it all the more difficult for the QB to scramble or roll out effectively. I look at how Cal has handled Oregon in recent times, and it’s really no coincidence that Bob Gregory, the Cal DC, has evolved the defense. Cal used to claim to be a 4-3 defense, but they consistently threw 3-man fronts at opposing teams. But today, they finally DO claim to be a true 3-4 team, and it has really done well against the one-back offenses you see so much of in the conference. Against the true spread, which is thriving today in the Big 12 and you now see Oregon and Arizona running versions of it every week, Cal has the scheme to deal with it. Now, can this work for WSU next year? I think it can, and here’s why. 1) Andy Mattingly is already being talked about as moving back to linebacker for next year. Paul Wulff has mentioned this at least a month ago on his radio show, and it’s been highlighted in other articles over at least the last month. And Andy Mattingly, we remember, was a 90-tackle, eight-sack guy as a linebacker in 2007. With Greg Trent, Cory Evans and Ken Dunn all graduating next year, the need for a linebacker with experience will be gigantic. Mattingly could slide right into an inside linebacker spot next year, with his 251 pounds a perfect fit back there. 2) The other inside linebacker might be a bit of a reach, but Mike Ledgerwood has played well this year as a true frosh backup to Greg Trent in the middle. But weight is an issue, as he’s only 215 pounds. I would think he would need to get to AT LEAST 225 to handle it, but it’s possible. Marshall Pirtz is also an option, at 6-0, 231, but Pirtz may not even be a linebacker anymore, potentially moving to running back. We’ll see what happens there. 3) The outside linebackers might be the perfect fit. In reality, both Myron Beck and Louis Bland started out as safeties anyway, both in the 205-210 range in weight. Give both guys another year of putting on weight, and they could be 215-220 next season while maintaining their quickness and speed, with the ability to be stout against the run yet able to get out on the edges and make plays. 4) The defensive line might be much better suited for this defense as soon as next year. Toby Turpin is already 6-6, 280, and with another 10 pounds or so he could be just fine as a nose tackle. He started at NT vs. Arizona, so who knows what he might do. Add in Kevin Kooyman at one end, where he’s already around 250 pounds, and he could be just fine. The other end is interesting in that the top recruit from 2008, Bernard Wolfgramm, will be ready to play. He’s already 6-3, 275, and has a ton of experience as a defensive end from his JC days. Also, Josh Luapo will be enrolling in January, and he’ll likely be a 300-pounder by September next year. He could be a fit as a backup nose tackle. The other angle to this is the lack of depth on the defensive line. It would be much easier to get by with 5-6 defensive linemen if you only have three on the field at once. But if you are running four of them out there every play, the depth gets that much thinner. Add in the usual injuries, etc, well, you get the picture. Finally, the spread offense – we’re only going to see more and more of it as it continues to thrive. Already Oregon and Arizona have fine-tuned their attacks, but there will be others to follow suit. It’s just too successful, what’s happening in the Big 12, to ignore it anymore. If Gary Pinkel or Mike Leach get the UW job, there’s another team that will instantly be running the spread. And you can already see some wrinkles with it at Oregon State, where they run a ton of one-back, but love to do some read option where the WR goes in motion to take handoffs from the QB, and they do a lot of shotgun as well. I would hope that they will seriously consider it for next year. Not only is it effective against the spread/multiple offenses, but if you have the right personnel to run it effectively, it could actually be a strength of the team. I’d love to see Andy Mattingly absolutely cut loose his senior year, blitzing from the linebacker spot next year instead of with a hand down as a defensive end. With the thin defensive line set to lose Matt Mullennix, A’i Ahmu and Matt Eichelberger next year, the lack of experienced linemen could be a big issue. Take one lineman off the field, and you can handle that lack of depth in a much more effective manner. And for once, we might actually have the correct personnel to get away with running the 3-4 at the college level, with some decent size at defensive ends and some real speed at the outside linebackers. What do YOU think?? Should we go to a 3-4 next year? Or are we better off with the traditional 4-3? You are currently browsing the archives for the Mike Ledgerwood category.